Online trophies: 9 (3 , 6 ) – You need to be signed in to PSN to play MyCareer. Approximate amount of time to 100%: 30 minutes to 2 hours. Glitched trophies: Yes. it has been reported that 4 of the MyCareer trophies can glitch. 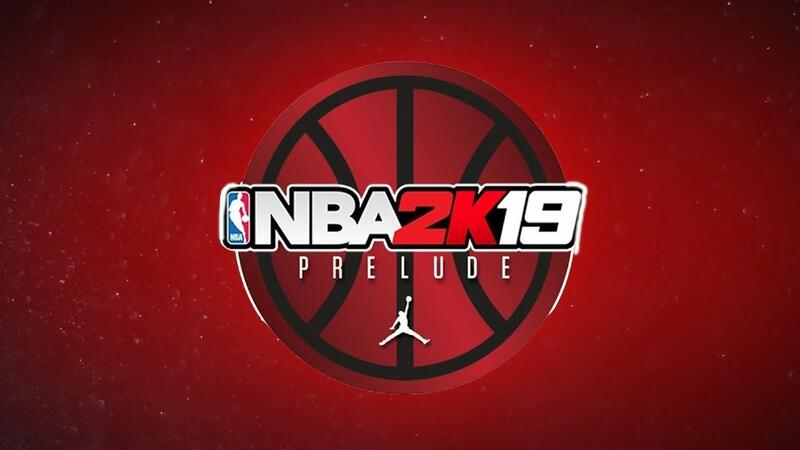 NBA 2k19: The Prelude is basically an NBA 2k19 demo with trophies. It has a separate trophy list from the main game and there are only 10 trophies to earn for the 100%. You will get the chance to master the controls in the 2K tutorials, create your MyPlayer and start your MyCareer. All progress can be transferred to NBA 2K19. Please note the following: To start and play MyCareer, you will need to be signed in to PlayStation Network. You can only play through MyCareer once, thus it can’t be replayed but don’t panic as there are no missable trophies. However, the 100% will be unobtainable if for some reason a trophy glitches and doesn’t pop. Most of the MyCareer trophies will pop during a cutscene so to prevent them glitching, don’t quit the MyCareer, turn off your PS4 or sign out of PSN during a cutscene! As of v1.0, the download file size of the game is 17.556 GB. You will be able to start the game after you have downloaded 7.525 GB but will only be able to play the tutorial. You will have to download the full game to start MyCareer. FromMarsToVenus has reported the following trophies glitched for them whilst playing the MyCareer: Make the Pass , Who Was That Again? , I’m Not Corey Harris! and Show ‘Em You Belong . There is no known cause for these trophies to glitch but will update the Guide when I have more information. You don’t have to play MyCareer in one sitting, because you can save during a game at half-time by pressing and selecting ‘Quit and Save MyCareer’. You can also save when you see the following title screen: LINK, by selecting ‘options’, then ‘Quit and Save MyCareer’. Afterwards, you can continue your MyCareer from the main menu by selecting ‘Continue MyCareer’. The default camera angle might not be to your liking but you can change this at any time during a game, be it career or tutorial, by pressing , selecting ‘Camera’, then pressing or to select a camera angle you prefer. I think the ‘2K’ camera angle is best and makes playing the game a lot easier. This step can be done at any time but if you are unfamiliar with the controls then I suggest starting with the tutorial, to get the most fun out of the game. Upon Starting MyCareer you will be asked to create your MyPlayer which is an individual player that you will use throughout your MyCareer story. You will watch numerous cutscenes, play a total of 3 basketball games and 1 arcade game, the result of which will have no effect on trophies. All the Career mode trophies are story related and cannot be missed. The 100% can be earned very quickly depending how you decide to play the game. If you just want a quick 100% then you can skip most cutscenes by holding down , skip all games by pressing as soon as the game starts and select ‘Sim to the End’ and skip the arcade game by pressing as soon as the game starts, then select ‘Quit’. Skipping cutscenes and games will not negate any trophy. You should now have 100% trophy completion, congratulations! From the main menu select ‘Begin MyCareer’. Upon starting the MyCareer you will be asked to create your MyPlayer. Once you have chosen your Head Selection, Vitals, Position, Primary and Secondary Skill, Height, Weight and Wingspan, then the trophy will pop. The performance of how you play during a game and whether you win or lose, has no effect on the story or earning trophies so go wild when creating your MyPlayer! To play the tutorial, select ‘2KU’ from the main menu. Upon starting the tutorial you will have a choice of Basic, Intermediate or Advanced, this relates to the controls you will learn and not the difficulty of the tutorial. You can change this setting at any time during the tutorial by pressing the . For the tutorial you will be playing a practice game, the normal rules of NBA Basketball will apply. You will be playing as the Golden State Warriors, and will be able to individually control all 5 players on your team. The trophy will pop after you have been playing the tutorial continuously for 15 minutes. There is no timer to say how long you have been playing but moments before you reach 15 minutes you will hear and see a countdown timer in the bottom right corner. You can pause the tutorial but if you quit before earning the trophy, then the 15 minute timer will reset and you will have to start over. Set up Wei for the winning shot against the Frogs. Shortly after creating your MyPlayer there will be a cutscene, then you will be prompted on screen to pass the ball to you teammate Wei Li, by pressing , who will then score the winning shot. The trophy will pop shortly after the cutscene ends. Although this trophy is story related, there is a very small chance it could glitch and not pop. There are no known reasons why it glitches but if it does, the 100% will unfortunately be unobtainable. Go out on the town with your teammates after the game. After playing your second full game for the Shanghai Bears, against the Beijing Rams, there will be a cutscene where an NBA fan will mistake you for the NBA 2K player Corey Harris. The trophy will pop at the end of this cutscene. Depending on whether you changed your MyPlayer’s appearance, you may end up looking nothing like Corey Harris. Go up against the Flying Dragon and the Guangzhou Jets. Before you start your first full game for the Shanghai Bears, against the Guangzhou Jets, this trophy will pop. The ‘Flying Dragon’ in the trophy description, relates to the nickname of Han Qi (a player with the Guangzhou Jets). Meet the mysterious man in the tunnel after the game against the Jets. After playing your first full game for the Shanghai Bears, against the Guangzhou Jets, there will be a cutscene where you have a conversation with a man in the tunnel. At the end of this cutscene, the trophy will pop. Get the news about the NBA Stars coming to town. Shortly after your translator, Zahn, says your coach needs to talk to you, there will be a cutscene where your coach announces to you and your team that the Shanghai Bears stadium has been chosen to host an exhibition game for the NBA All Stars Global Tour. After this cutscene, the trophy will pop. Take on the NBA Stars team. Before you start your third full game for the Shanghai Bears, against the NBA Stars, this trophy will pop. Show Corey what Shanghai has to offer. After playing your third game for the Shaghai Bears, against the NBA Stars, there will be a number of cutscenes with Cory Harris, after which this trophy will pop. Get the news about your future. This will be your final trophy from MyCareer and will pop during the final cutscene. After you find out from your Shaghai Bears coach that you are being transferred, you will arrive in Los Angeles and this trophy will pop.